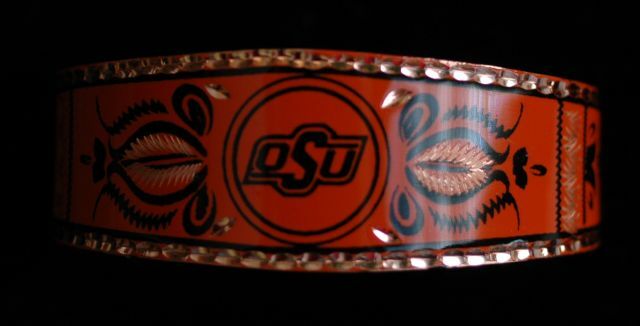 These Oklahoma State University (OSU) Orange bracelets are hand crafted and the copper designs are made by two different hand tools to accent the screened motifs. We apply a varnish glaze so the bracelets are durable for wear, but be sure not to do your dishes or take a shower inthem, water is their kryptonite! 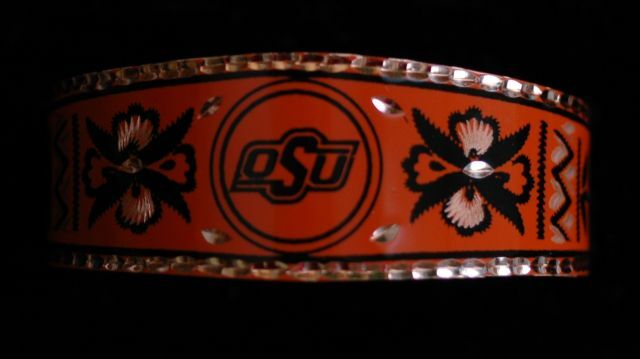 All bracelets are adjustable so they can be made to fit for any size wrist.